This is a color wheel without transparent primaries. It is the one currently taught today with Yellow, Red and Blue as the primary colors. This is the Mayer, Runge, Cheverul, Itten color wheel and it is not artist friendly. The oppositions on this color wheel only make hues of brown, instead of making neutral dark grays and blacks. That color wheel is taught to most people today (School Standards for all States except N.Y.). This twelve hue color circle was developed by, Tobios Mayer in 1775, Otto Runge in 1809, Chevreul in 1839, and Johannes Itten. Chevreul, 1839, Chevreul made a twelve color wheel, Yellow, Red, and Blue again, wrong complements, wrong after images, Yellow is not opposite purple, Ultramarine Blue is not opposite Orange and Red is not the complement of Green. His complements in "Simultaneous Contrast of Color" made mud. He never completed his solid model. Albert Munsell, 1905. He made a five color wheel with no triad. The principle colors he did have were, red, yellow, green, blue, and purple. No Magenta or cyan unless you consider purple as the magenta and put cyan between green and blue. In a 5, 8 or 10 color wheel there is no triad possible. Next he darkened the colors with Black, mixed them with Gray, and tinted them with White, and numbered them all. This is still taught today. An eight or five or ten color wheel will not work. It has to be a 3, 6, 12 or 36 color wheel to have a triad and correct opposite secondaries. 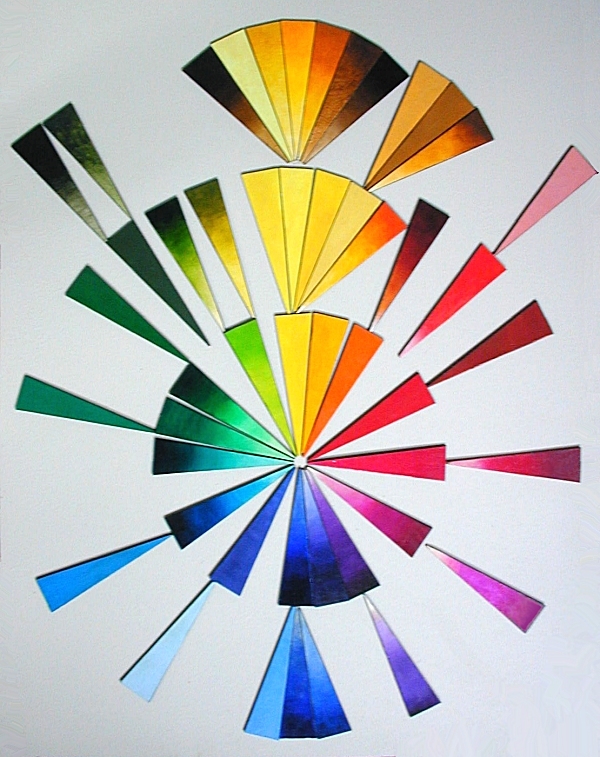 In the element color wheel, colors do not darken with black like the RGB color wheel and the Munsell color wheel. 1916, The last color wheel (square) of college record was by Church-Ostwald. It has Yellow, Red, Sea Green and Ult. Blue at the corners. It made way for the new coal-tar colors, all pigments were replaced by their top-tone matching colors. Naples Yellow, Rubin's favorite, artists' favorite for two thousand years, was replaced by a mixture of Zinc and Ocher. Pigments were moving from the Iron Age to the Oil Age. Ostwald had no regard for opacity, or raw pigment content, only the final dried chip color was important. Ostwald had no regard for opacity, or raw pigment content, only the final dried chip color was important. This represents the Red Yellow Blue (RYB) color and painting theory that is still accepted today. Actually it doesn't work any better than the ROYGBIV color theory without transparent magenta or transparent cyan that was popular when I went to school (1950). Young artists are having trouble, they are being taught a system that doesn't work. On the Red Yellow Blue color wheel a Red tomato would use Green and darken the Red to Brown. 1. All the colors are opaque. 2. All of the oppositions are incorrect. Crystals represent all the colors we see. 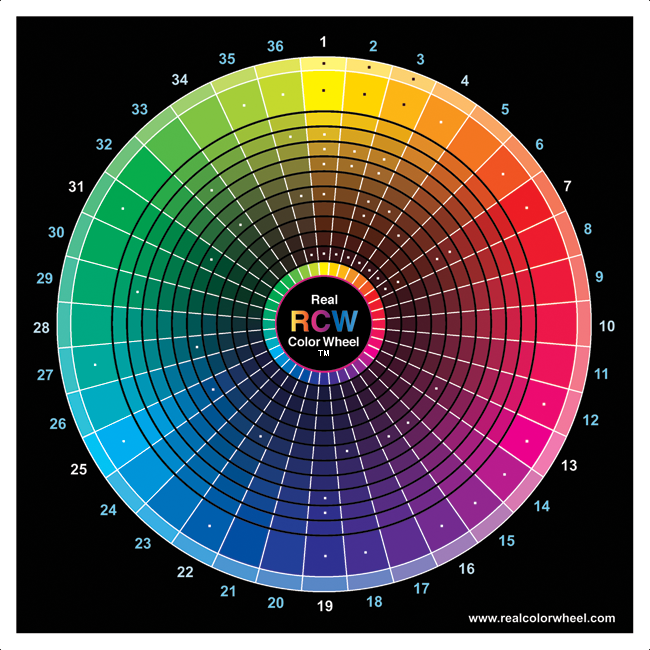 The RCW is a crystal color element map. This is a new correct color wheel for artists. Mix neutral complements from opposition pigments, mix shadow colors correctly without black pigment. The oppositions on this color wheel make neutral dark grays and blacks, not browns. This color wheel matches the RGB tint and full chroma colors, the rainbow and natural crystal element colors as they get dark. Plus all oxides and Chemical Class colors. This color wheel also matches the CMYK color wheel divisions of colors, but not in the way their colors get dark which adds black ink. The natural painting artist needs the correct dark color ranges made with opposition pigments. toward color theory, Don Jusko. Each color opposition on the RCW mixes to a dark neutral that tints a neutral gray. The Old RYB has a Red/Green opposition that should be Magenta/Green instead. On that Red, Yellow and Blue color wheel, a red tomato would use green to make a shadow on the tomato making Brown. Ugg..
No wonder today's young artists are having trouble, they are being taught a system that doesn't work. 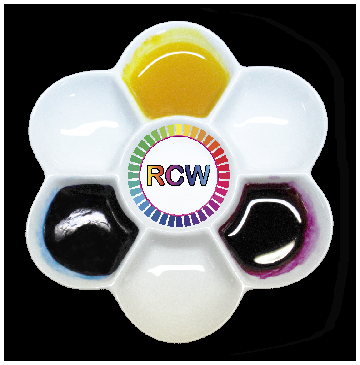 On the RCW color wheel a Red tomato would use Cyan to darken the Red into natural shadow color. Only on this Real Color Wheel are yellow and brown in the same color column path, like the yellow elements. 1. 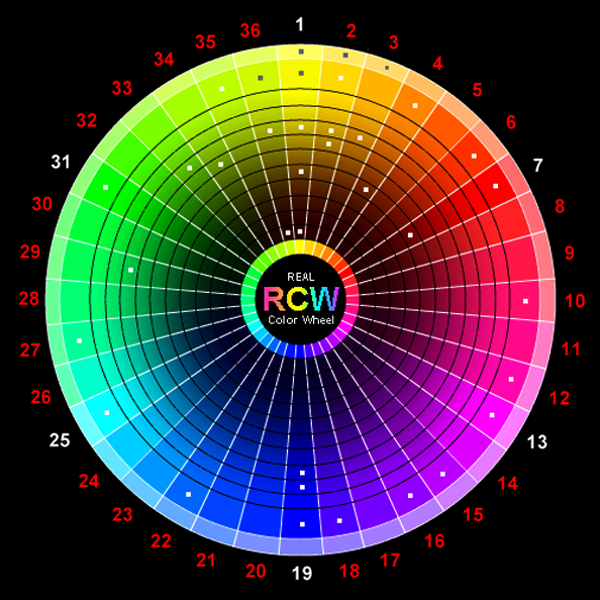 All pigment colors are located on the RCW. 2. All color oppositions are correct. I hope you use this Real Color Wheel to mix pigment colors. pigment colors for mixing neutral darks on my color wheel. Color Index Names and Natural Pigments, all located on the Real Color Wheel. Look at these children learning the new color wheel with transparent colors. Order this complete color course on , $35.00.